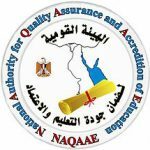 Stemming from the importance of quality management, a Quality Assurance Unit in each faculty reporting to the Quality Assurance Center in the University was established since the first day of operation of PUA. They put together an internal review system for Quality Assurance to strictly evaluate the performance and goals achieved by each faculty structure. At the beginning of each course, the Quality Assurance Unit asks each course coordinator to announce to the students the course aim, the intended learning outcomes, the learning methods, the assessment techniques and the required textbooks. A computer based student course evaluation is carried out at the end of each course. It includes questions covering evaluation of the instructors, demonstrators, course content, exams, lecture halls and facilities at the faculty. An annual self evaluation report is a part of the internal review system that helps monitoring both points of strength and weakness in faculty performance and the action plans to be taken for further enhancement. PUA is actively collaborating with the National Authority for Quality Assurance and Accreditation (NAQAAE) through holding a series of training programs and sessions at PUA aiming at deepening the concepts and components of the Quality Assurance and Accreditation System.